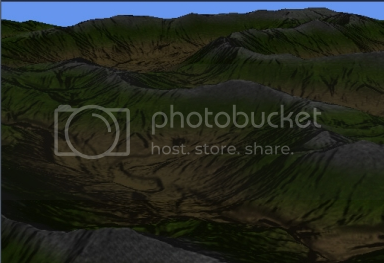 Ziggyware is hosting a [http://www.ziggyware.com/readarticle.php?article_id=220&rowstart=0] fantastic tutorial by Alexander Grafenstein on using geometry clipmaps to display terrain. Geometry clipmapping is a level of detail technique that works by shifting nested regular grids through the terrain data as the viewer moves, by Asirvatham and Hoppe, and published in GPU Gems 2. Grafenstein's presentation is very clear and comes with working source.